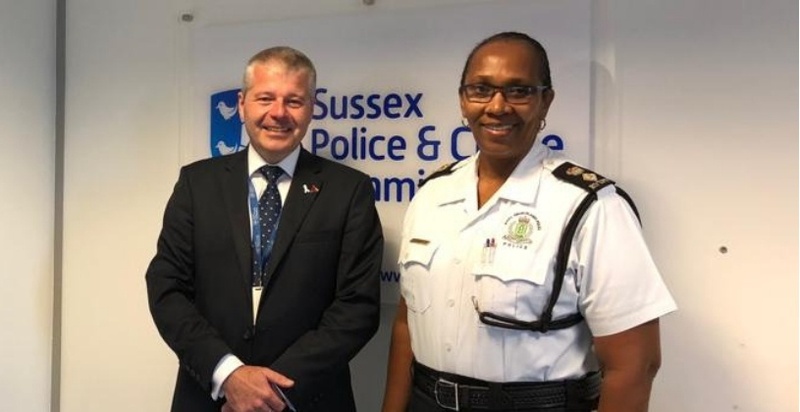 Superintendent of the Royal Virgin Islands Police Force Jacqueline Vanterpool properly known as Jackie, has returned to the Territory following a six-week secondment to the United Kingdom (UK) with an enhanced perspective of her role as a senior manager and supervisor. According to police, the Superintendent was attached mainly to Sussex Police Headquarters but carried out stints at the Central Hove as well as the Hastings, Brighton, Sussex and Gatwick-Sussex Police Stations. Through her assigned mentors, Chief Superintendent Jayne Dando and retired Chief Superintendent Phil Nicholas, she was exposed to leading and managing operations which encounter issues such as public order, terrorism, sexual exploitation, and providing general public protection. She observed daily management briefings geared at planning strategically to garner results and engaged in the day-to-day activities within an active police station. In the area of operational planning, Vanterpool was privy to the security preparations for the Lewes Bonfire Night Celebrations, observed the execution of an operational plan for crowd management at a football game in Brighton and participated in a tabletop emergency and major incident management exercises at Gatwick Airport and at Crawley. Her stint in the active Control Room offered her insight into advance technology, resources and tools afforded to UK officers to enhance their day-to-day handling of crime and provide a higher standard of protection to the community. 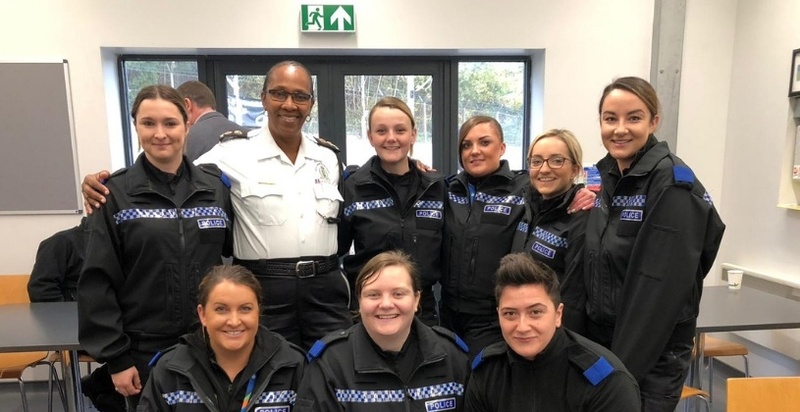 She also had chance to address over 70 new recruits on her experiences as a police officer and her growth through the ranks to her present post. In reflecting on her training, Superintendent Vanterpool stated that the secondment was timely, thorough and provided the kind of hands-on experience needed to propel her forward in her role as a commander. “I have been privileged to see the U.K. Police Operations and Command from a strategic perspective and I now have a clearer view of what can achieve as a senior officer and supervisor. The way we police our communities must be ever changing to meet the growing demands if we want to really achieve the greater results of finding solutions to crime in our society," she related. Adding, "I look forward to advancing several key initiatives to help officers feel more secure and confident in their roles thereby providing an enhanced, more customer-focus service to our growing and diverse public." Vanterpool thanked God for the opportunity to view policing from such unique perspective, "and most grateful to Commissioner Matthews who made it possible for me to go. I am delighted to be on board with him as we endeavor to bring the RVIPF to a place where the public trust and confidence can be restored." Well done Jacqueline! Very proud of you. We are exteremly proud of you and your accomplishments. We are also grateful to the Commissioner and the Government for believing in you, and equipping you not only for the present task, but for the future. Congratulations Jackie we are proud of you. She will be the next COP..believe it or not. I can't wait to see that day.. Always continue to do your very best Sister.